Paper pulp is a fibrous material with plant fiber as a raw material and processed by different processing methods, which is divided into mechanical pulp, chemical pulp and chemical machinery pulp according to the processing method; divided into wood pulp, straw pulp, hemp pulp, reed pulp, sugarcane pulp, bamboo pulp, rags pulp and so on according to the fiber raw materials; and divided into refined pulp, bleached pulp, unbleached pulp, high yield pulp, semi-chemical pulp and so on according to different purity. I will briefly analyze the Paper Pulp Market below. 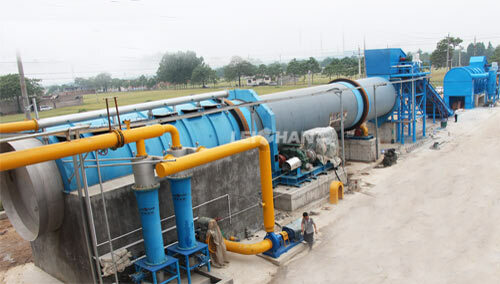 Traditional production industry of straw pulp generally uses alkali and sulfite to produce the paper pulp, therefore there is large waste water emission which contains a lot of suspended solids, BOD, COD, color (black liquor), acid and alkali substances, toxic substances which have serious pollution to the surroundings. The current straw pulp can only produce box board paper, corrugated paper, tile surface paper, straw paper, writing paper, sacrifice paper and other low-end products. Using a new biological pulp technology, you can produce newsprint, printed writing paper, high-grade wrapping paper and other high-end products without destroying the raw material plant fiber, to achieve the ideal effect with straw pulp’s replacing wood pulp. The market’s increasing demand for paper and paperboard drives the huge demand for paper pulp. At present, China’s annual consumption of pulp is more than 7,000 tons, the paper pulp needs to be imported from abroad, the pulp market is in short supply, so the prospects are considerable. The straw pulp produced using new technology of raw pulp is of low cost and good quality, and there are no pollutants in the production process, and it can replace the wood pulp to ease the pressure of wood pulp imports.